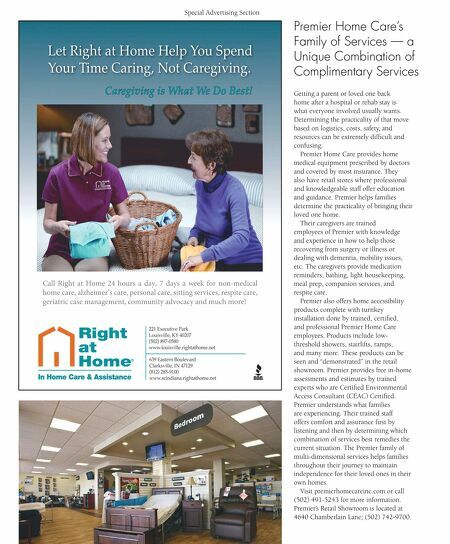 Special Advertising Section Premier Home Care's Family of Services — a Unique Combination of Complimentary Services www.louisville.rightathome.net 78 LOUISVILLE MAGAZINE 8.13 Getting a parent or loved one back home after a hospital or rehab stay is what everyone involved usually wants. Determining the practicality of that move based on logistics, costs, safety, and resources can be extremely diffcult and confusing. Premier Home Care provides home medical equipment prescribed by doctors and covered by most insurance. They also have retail stores where professional and knowledgeable staff offer education and guidance. Premier helps families determine the practicality of bringing their loved one home. Their caregivers are trained employees of Premier with knowledge and experience in how to help those recovering from surgery or illness or dealing with dementia, mobility issues, etc. The caregivers provide medication reminders, bathing, light housekeeping, meal prep, companion services, and respite care. Premier also offers home accessibility products complete with turnkey installation done by trained, certifed, and professional Premier Home Care employees. Products include lowthreshold showers, stairlifts, ramps, and many more. These products can be seen and "demonstrated" in the retail showroom. Premier provides free in-home assessments and estimates by trained experts who are Certifed Environmental Access Consultant (CEAC) Certifed. Premier understands what families are experiencing. Their trained staff offers comfort and assurance frst by listening and then by determining which combination of services best remedies the current situation. The Premier family of multi-dimensional services helps families throughout their journey to maintain independence for their loved ones in their own homes. Visit premierhomecareinc.com or call (502) 491-5243 for more information. 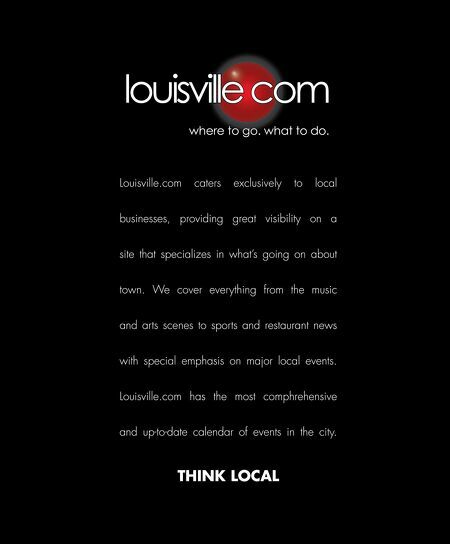 Premier's Retail Showroom is located at 4640 Chamberlain Lane; (502) 742-9700.